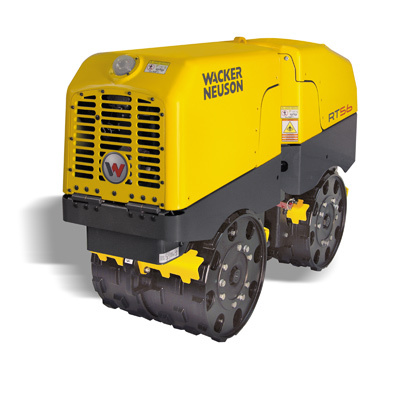 22 Inch Trench Compactor Rental – Wacker-Neuson – RT 56 SC-2, is available for rent in Rochester NY, Ithaca NY and the entire Western New York region from the Duke Company. The rental Wacker Neuson RT 56-SC-2 Vibratory, articulated, trench roller can be rented, is featured by a state-of-art joystick control system using infrared technology for sight control. This advanced trench compactor includes numerous safety devices including front and rear sensing devices that are activated when the operator is six feet from the machine. Ideal applications include compaction of foundations, parking lots, roads, and a wide range of other projects.